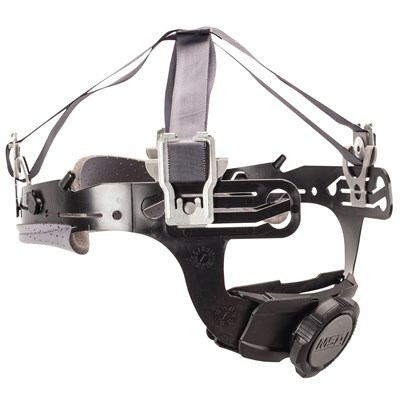 The Fas-Trac III Ratchet Suspension system features a shock absorbing 4-point suspension, fully padded headband, three levels of nape strap adjustment, lower nape strap to cradle the head and a smooth ratchet rotation. The ultimate head comfort pad improves airflow and help to prevent hair pulling, The flush rear lug attachments eliminate pressure points. MSA Skullgard replacement ratchet suspension complies with ANSI Z89.1 Type I Class G standards and is SEI certified.